Daleys Fruit Tree has Plants for Sale to Borallon and can Mail Order them to you door. Click to Find out how much Freight Will Cost. Frequently tall with a thick trunk but also occurs with a short trunk and heavily branched crown. 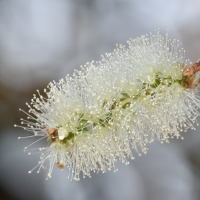 Very common Eucalypt along river banks of eastern Australia. A Koala food tree. 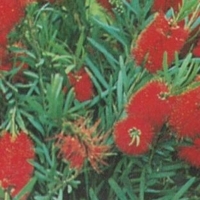 A spectacular rounded shrub with narrow leaves and prolific red flowers. Most well drained soils with some frost protection. 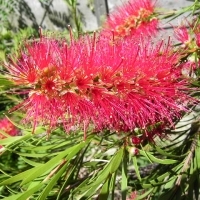 Beautiful soft green weeping foliage with spectacular bright red bottlebrush flowers. A medium weeping shrub with fine glossy leaves and bronze new growth. 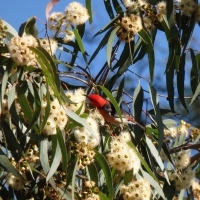 Vivid cherry coloured brushes flourish from spring to early summer, most attractive to Honey Eaters. Extremely frost hardy, suited to coastal gardens as well.